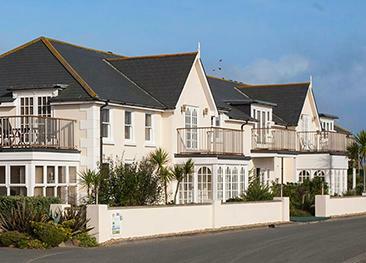 In the countryside but a stone's throw away from the beach, Rocquaine Bay Apartments' location allows visitors to combine relaxation and activities during their holiday in Guernsey. St. Peter Port is quickly accessible for a spot of shopping and visits to historical sites, thanks to a convenient bus route on the apartments' doorstep. Arrivals and departures can be any day of the week and there is no restriction on the length of stay. All apartments have a double room, a twin room and a sofa bed in the lounge. All features an open plan kitchen / diner / lounge which provide spacious, light and comfortable living area. All are equipped with dishwasher, microwave, satellite TV, WiFi and linen. Electricity and heating (during the low season) are included. Visitors can enjoy a day out on the west coast of the island, swimming, rock pooling and taking part in watersports. The countryside is definitely worth exploring, with country lanes accessible from the property's entrance. The west coast of Guernsey offers many opportunities to experience Guernsey's restaurants, ideal for treating yourself to a memorable sunset as well as a delicious meal. 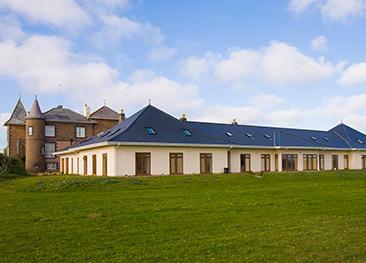 The four ground floor apartments are suitable for wheelchair access. Dogs are accepted on a request basis at no additional charge. Vazon Bay Apartments are ideal for a summer holiday in Guernsey, being located at the north end of Vazon beach on Guernsey's picturesque west coast. 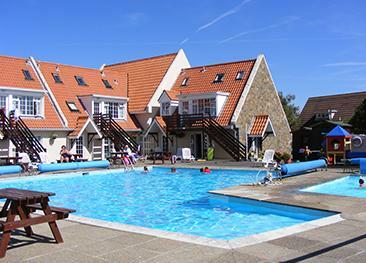 Chateau Grandes Rocques Apartments are located on the Grandes Rocques peninsula on the west coast of Guernsey, adjacent to two of Guernsey's most family friendly sandy beaches. The Bay Apartments are surrounded by L'Ancresse Common, the golf course and 4 beautiful beaches - Pembroke & l'Ancress Bay, La Janouse and Ladies Bay.